Antibiotics once crushed bacteria handily // But the germs fought back, evading the blows // So scientists are back in the war room // Seeking out more refined tactics. In each of 27 cages, set up in a temperature-controlled room in the La Jolla, Calif., lab of researcher Victor Nizet, sat one very sick three-month-old mouse. All the animals had just been infected with Staphylococcus aureus (staph), a major human bacterial pathogen often resistant to medicine’s strongest antibiotics. In this experiment last year, Nizet and his colleagues were testing a new compound, BPH-652, to see whether it could combat the infection better than the antibiotics typically administered. Three days after injecting the compound, the researchers examined the animals’ kidneys for evidence of infection. To their delight, the staph was almost gone, with levels of the pathogen reduced more than 98%. Nizet was particularly excited because BPH-652 isn’t an antibiotic—it didn’t kill the staph or prevent it from multiplying. Instead, it attacked the infection by stripping away one of staph’s “virulence factors,” toxic molecules that inhibit the immune system. This outside-the-box approach is one of several beginning to emerge from laboratories around the world to treat antibiotic-resistant infections, which are increasing in number by the day. Already, more people in the United States die of methicillin-resistant Staphylococcus aureus (MRSA) each year (18,650 in 2005) than of HIV/AIDS. And with most large drug companies ending their antibiotics programs, and other research hindered by lack of funding, few new drugs are in the pipeline. Yet failing to find bacteria-defeating solutions is hardly an option. 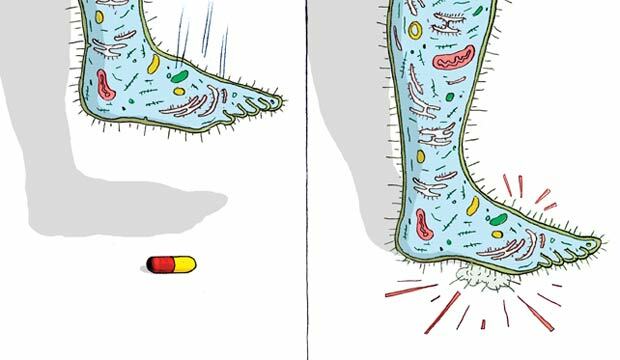 Where once drugs could simply annihilate a bug, now it’s necessary to be more nuanced, to find ways to rid the body of infections without triggering resistance, which is threatening the effectiveness of every antibiotic. What physicians need in this war against microbes, says Bob Hancock, an infectious disease researcher at the University of British Columbia in Vancouver, is more than one approach for dealing with infections that are proving almost infinitely creative in getting around whatever obstacles medicine puts in their way. 1. Bad Bugs, No Drugs: As Antibiotic Discovery Stagnates...A Public Health Crisis Brews, Infectious Diseases Society of America white paper, July 2004. The IDSA discusses the antibiotic-resistance problem in plain English, detailing the number of deaths from antibiotic-resistant infections, the lack of drugs coming down the pharmaceutical pipeline and what policymakers should do to address the challenge. 2. “Platensimycin Is a Selective FabF Inhibitor With Potent Antibiotic Properties,” by Jun Wang et al., Nature, May 18, 2006. An account of the exciting discovery of one of the first new classes of antibiotics in more than 20 years through the use of a novel search method. 3. “A Cholesterol Biosynthesis Inhibitor Blocks Staphylococcus aureus Virulence,” by Chia-I Liu et al., Science, March 7, 2008. This paper demonstrates that a never-approved cholesterol drug could one day be used to render staph bacteria harmless in humans.